Did you know this week is National Library Week? 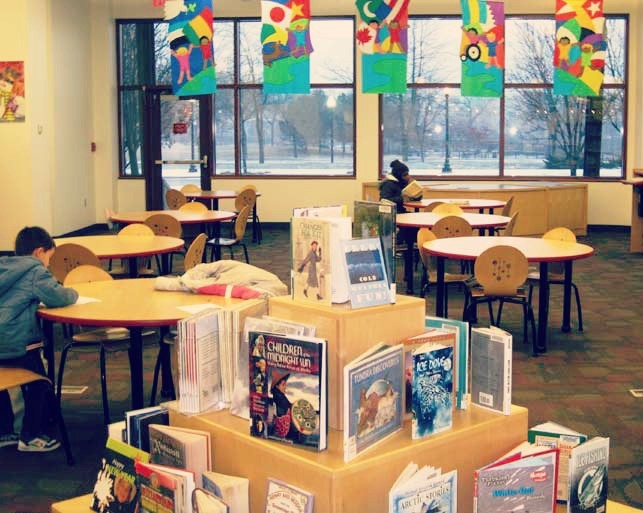 Come join me every day this week as I showcase some of our favorite libraries in the northwest suburbs of Chicago. Today’s library is Elgin’s hidden gem. Believe me you’ll want to see it for yourselves. Hours: Check their website for hours. KidSpace is an inviting area! …with a fun wooden play structure with a tunnel underneath. Kids LOVE this! 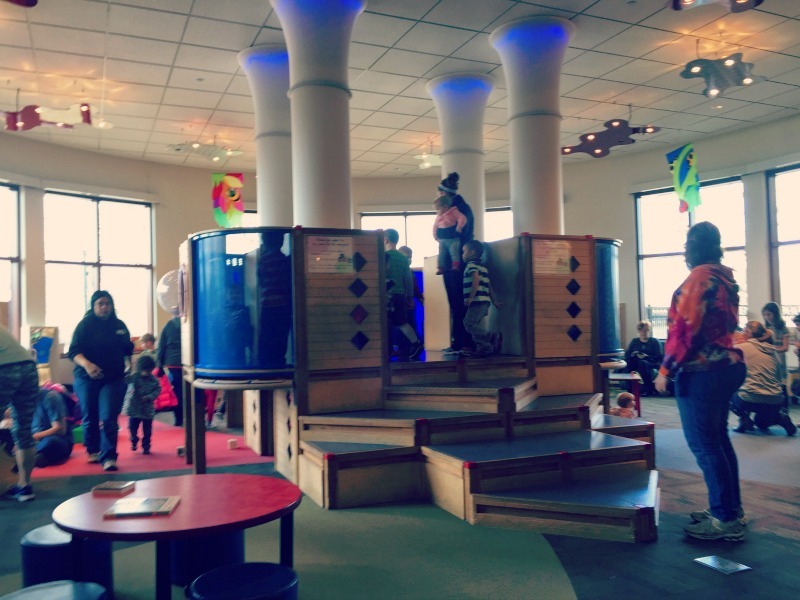 The play area is a circle surrounded by windows. Makes it nice and bright! 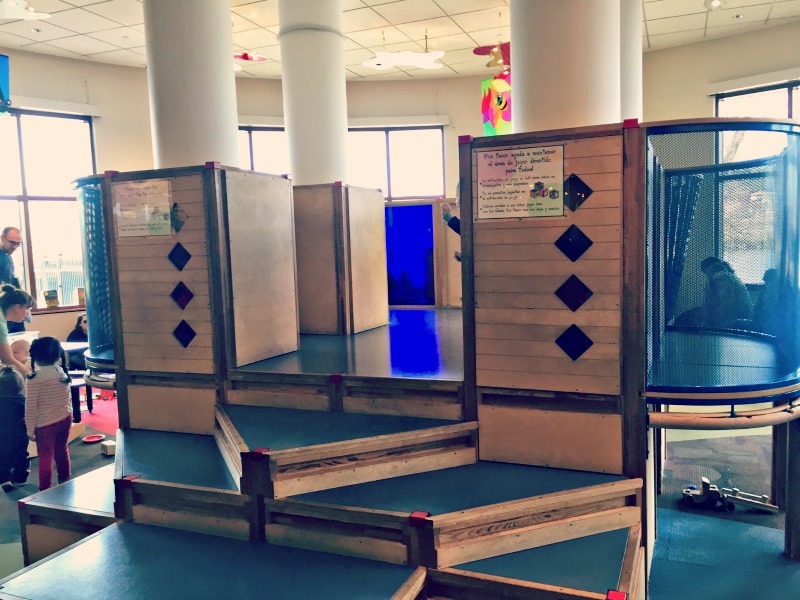 There’s a whole separate area from the play area for those serious readers and school-age children. Every summer they bring in a museum quality exhibit. ..nothing to complain about here. 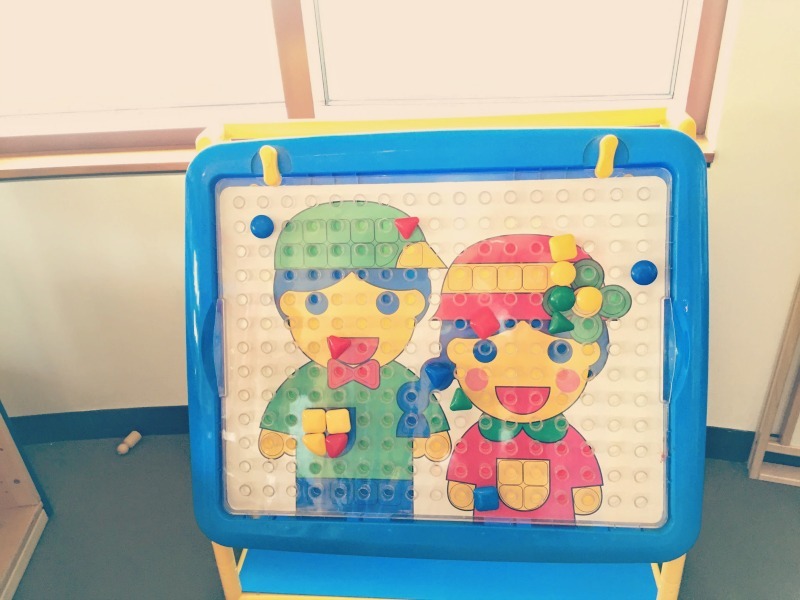 Great area for kids! Make a day out of it! Across the street is the picturesque Walton Island Park with views of the Fox River and mini waterfalls. With its great location by the bike trail, it would be the ideal starting point or even a stop-worthy diversion. Check out their programs and events. They always have something fun in store. For example, they had an event called Sarah the Singing Princess. Imagine hundreds of little girls come dressed as princesses to hear Sarah sing Disney songs and get their photo taken by a castle made of LEGOs? Sounds like fun for any princesses! What a wonderful library that caters to kids! 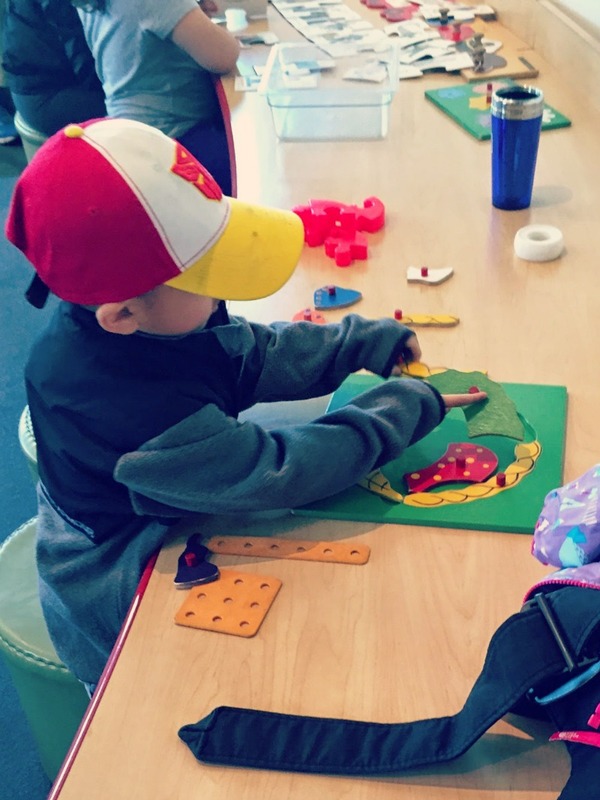 Not only do they have a fantastic kid’s play area but they have programs and events year round that draws library-goers and the community. A must see! 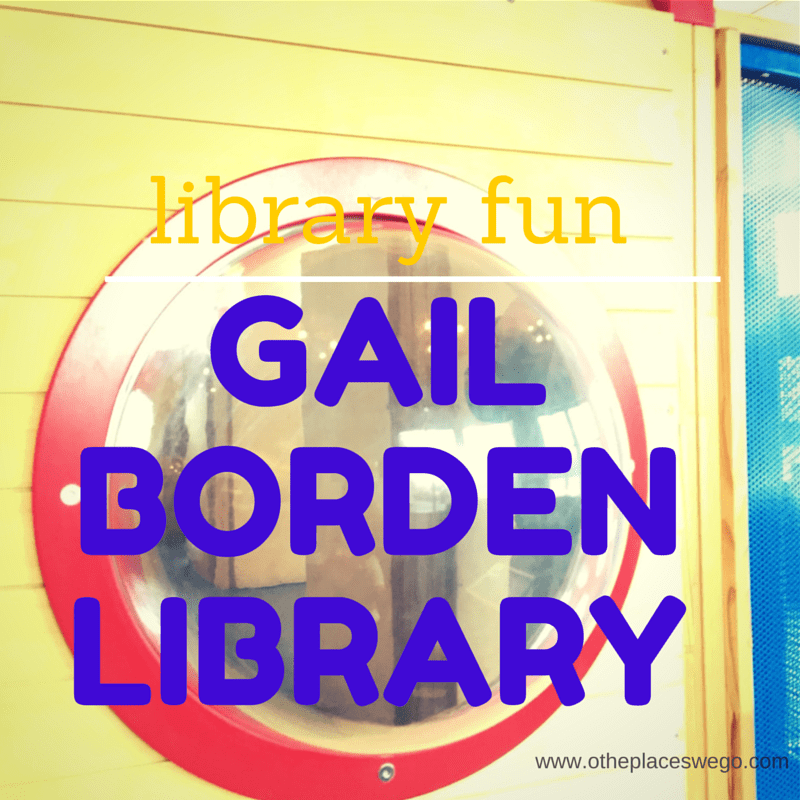 Have you been to Gail Borden Library?